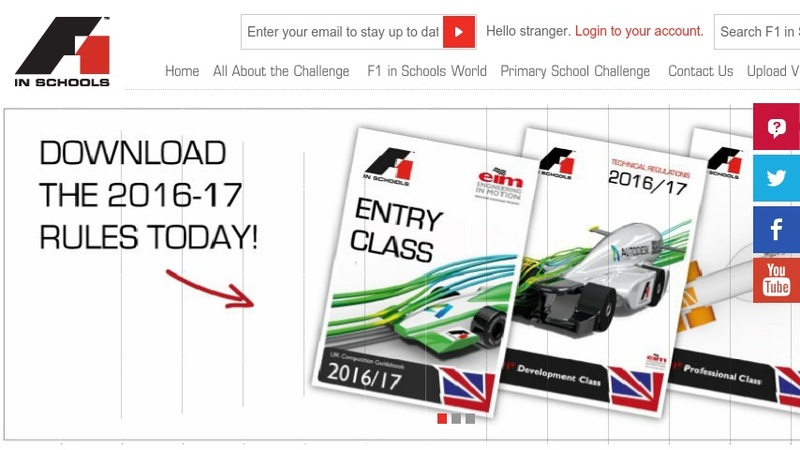 The Formula One (F1) in Schools CAD/CAM Design Challenge, which began in the UK, is now open to schools internationally. Major sponsors include Denford, Jaguar and BAE Systems. Through this program, students between the ages of 11 and 18 explore the process of design, analysis, and testing by producing their own F1 Car of the Future using 3D CAD models. The CO2 powered racing cars they manufacture then compete on a racetrack. Students are introduced to "a variety of engineering and manufacturing principles, as well as the laws of math, science and most importantly, teamwork." The website describes the process, provides an example design brief, posts the results from the contests, explains entry procedures, and offers tips and tools for creating a winning car. The Showcase Gallery offers examples of exceptional work from F1 student portfolios as a source for inspiration.